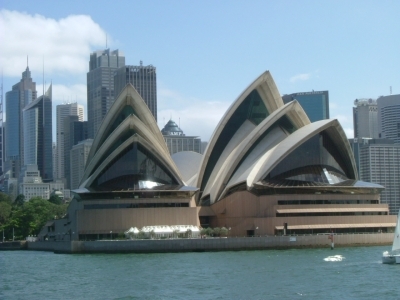 New South Wales was first colonised in 1788 and is the oldest state of Australia. NSW also has the biggest population in Australia with the majority of people living close to the coast. Many of Australias tourist attractions lie in the state of NSW and this is why many overseas visitors will see NSW as their first target when visiting Australia. Highlights include the Jenolan Caves, The Botanic Gardens and Mount Tomah. The natural landscape is attractive to hikers and adventure seekers as well as couples or families just wanting to get off the beaten track. There are walks, lookouts and waterfalls to be found along the way but very important to stay on the tracks. It is very easy to get lost if you stray. Miles and miles of perfect un-crowded beaches seem to go on forever. If you love to walk along the beach, go surfing, swimming or snorkeling, you will be in your element. Some attractions in the area are: Myall Lakes National Park, Solitary Islands Marine Park, Wollumbin – Mt Warning National Park, Dorrigo Rainforest Centre. Visit Peppers Spa Resort at Kingscliff. Peppers is a luxuary resort situated right on the beach just half an hour south of the Queensland border. Relax in Northern New South Wales with a holiday to remember. The Hunter Valley is famous worldwide for its wine making in particular. The crisp Semillion and the ripe shiraz. Enjoy the tastings at the many wineries that open their cellar doors to the public daily. Some of the other attractions in the region are Barrington Tops National park, Maitland Regional art gallery, Lake St. Clair. The stunning coastline of endless perfect beaches are also a major attraction in this area. There are many national parks to explore in country NSW with stunning views and rock formations. Must see includes, Mt Kaputar National Park, Cathedral Rock, Oxley Wild Rivers, Wollemi National Park and Warrumbungle National Park near Coonabarabran. Tourists come from every country in the world to see Australia and so many miss the opportunity to visit the Outback. What a shame. This spectacular, breathtaking landscape is unique with rugged gorges, aboriginal rock art and remote caves. There are campsites along the way but many who travel to the outback feel its all part of the experience to camp by a local river and sleep under the spectacular stars. Places of interest include: Paroo-Darling National Park, Kinchega National Park, Sturt National Park, Mungo National Park. RIVER oaks stand like sentries next to Mann River, which slices its way down from the New England Tableland to join the Clarence River on the flood plains of the Northern Rivers district of NSW. In shady grottos, icy cold waters churn over granite rocks, leaving a frothy trail down the creek beds. In long, straight stretches, the cascading creek fattens into a wide, slow-moving river. And by open banks, there are white-quartz "beaches" with tourists sunning themselves between refreshing plunges into deep rock pools. This is the land of the Bundjalung, Gumbaingirri and Ngarrubal people. And these are the idyllic settings accessed by a stretch of road known as Old Glenn Innes Road by some, Old Grafton Road by others or simply as "The Old Road". It runs almost from Glenn Innes to Grafton, parallel to and south of the Gwydir Highway. Just outside Grafton, the Old Road turns left off Gwydir Highway and runs through some scrappy countryside, changing to gravel after about 30km. As it joins the river, the scenery becomes more pleasant and there is a picnic area to stop and grab some photos as well as catch up on information about the history of the road, the vegetation and bird and animal life. The dramatic valley scenery includes a short 20m drive through Dalmorton Tunnel, blasted out of the side of a mountain in the late 1800s. The region was in an economic boom in the 1830s, so Archibald Boyd and Gother Mann explored it looking for a route to transport tablelands produce to the Clarence River to be shipped out from Lawrence, near Grafton. In those days, bullock teams took up to 12 weeks to haul gold, wool, timber and other produce along the 125km route. Horses did it in a week. You can cover the distance in less than two hours or take plenty of stops for photos, picnics and swimming. In 1866, David Houison surveyed the present road, which required 50km of cuttings into sheer granite cliffs, a marvellous feat of engineering for its day. It was officially opened as a main road in 1876. Back then, towns such as Dalmorton had thousands of residents, four churches and many hotels. It is hard to fathom so much activity where now there is nothing but tranquillity; black cockatoos and the occasional 4WD and motorcycle to disturb the peace. Kangaroos and rock wallabies dart across the road, while motorists are often accompanied by livid-coloured parrots, lorikeets and corellas. Despite once being a main road, there is very little traffic now, but it pays to slow down on blind corners. The gravel can be fairly corrugated leading into and out of corners and the surface a little slippery in places. It's suitable only for 4WDs, motorcycles with all-terrain tyres or high-clearance vehicles. However, if you come in from the west end, most vehicles, except caravans, would be able to access the Mann River Nature Reserve picnic and camping area, which is at the start of the gravel. Here, weekenders are fishing, swimming, bushwalking, bird-watching and just relaxing to the tune of the burbling waters. Send us your story, review or story about a holiday destination or experience in New South Wales Australia.